Quantity of (1) 1oz. Dipcrylic Dipping Powder - Swatch shown is three layers over clear nail tip. 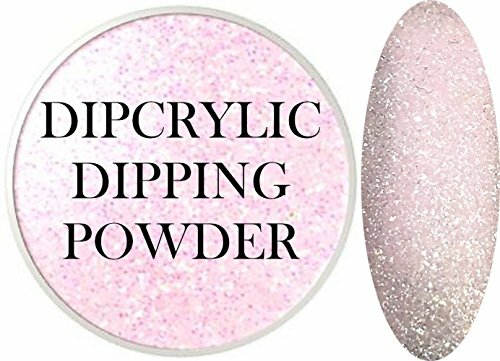 Dipcrylic Acrylic Dipping Powder used to create and strengthen both artificial and natural nails. Swatch shown is 3 layers over a clear nail tip. Color may vary due to number of applications, color of nail tip/natural nail, or monitor color variations. Acrylic Dipping Powder formulated for use with our Dipcrylic Base and Dipcrylic Activator for nails free from peeling, chipping or yellowing. Easy brush on Dipcrylic Base and spray on Dipcrylic Activator makes application fast and accurate. Visit our YouTube channel to view step by step application. If you have any questions about this product by Sheba Nails, contact us by completing and submitting the form below. If you are looking for a specif part number, please include it with your message.